paper. 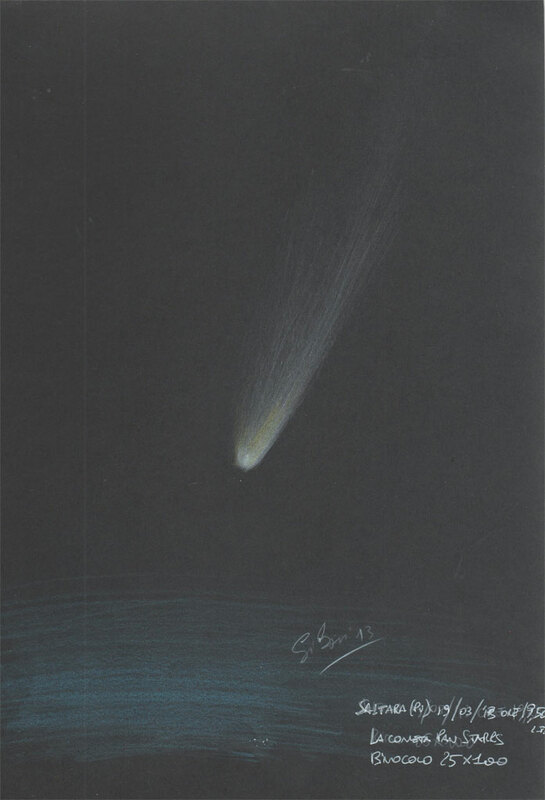 Unfortunately the comet was very low and the sketch was very difficult to made. seeing: Very clear after rain but icely temperature! 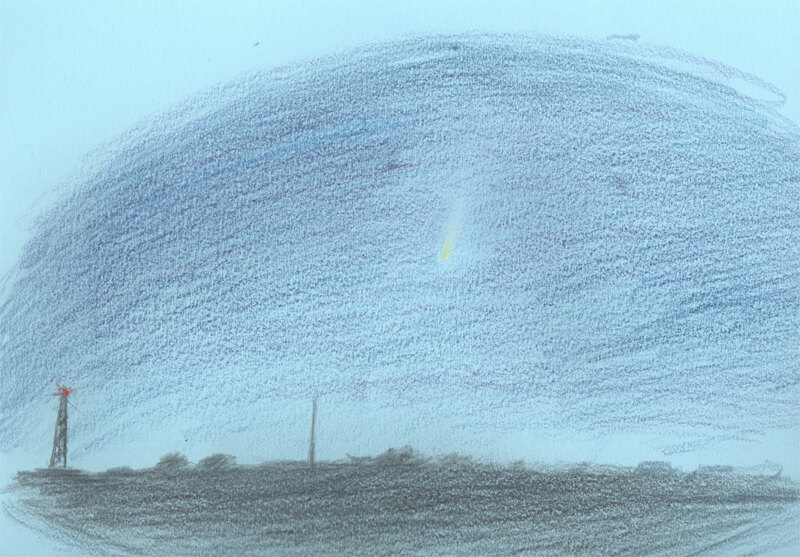 Two magnificent sketches of comet PanSTARRS. I especially like that large one mand with the big binoculars. Thankyou very much Frank! yuo have only time a kind words about my work.